Recently I became aware of a nifty-sounding application for most phones that essentially turned them into the equivalent of push-to-talk (PTT) radios. Now, while I have a couple of Motorola MTP-850s the limitation is that I very literally only have a couple: ie TWO. Sometimes, albeit rarely, I work with more than one other investigator and conducting a last-minute, unplanned, three vehicle mobile surveillance operation with only cellphone communications is just asking for trouble. Which, incidentally, is exactly what happened but that's a story for another time. Enter the (mostly) free-to-use app Zello. Basically, the app allows you to use the phone's data plan to send voice packets via Zello's servers, wherever they may be located. You only need to be within your provider's coverage area or connected to a wifi network. Zello allows you to connect with other users, either privately, or in specifically created channels. However, for business users, there is also Zello@Work which is free for up to 5 users, or $6.00 per user per month if more. Zello@Work allows you to configure and manage users and chanels through a desktop client and even boasts other features as integrating with existing 2-way radio systems you may already have in operation. Zello@Work communications are also encrypted. Anyway, for me the selling point is that Zello is available across a range of phone operating systems: iPhone, Android, Blackberry and maybe Windows Phone. This means you are likely to already have the required hardware and do not need to specifically lay out any more cash. My only real gripe is more to do with my own phone (Blackberry Z10) than Zello, as when using a covert mic/earpiece set, the PTT button engages the phone's voice command system and there does not appear to be any way to remap the key or turn that feature off. Actually, I do have another gripe. It appears you have to sign out before closing the app otherwise you can still receive communications. Normally, when closing an app in BB10 OS, that shuts it down completely but not so for Zello. I've had people message me when I thought the app was off but note that there is a status setting option where you can also set your status as 'Available', 'Solo', 'Busy' or 'Offline'. I haven't really played around with it a great deal so am still exploring various options and settings, but so far I think this might be a valuable tool for many who don't want to fork out some big dollars for comms hardware that might not get used very often. Multi-OS. Most phones likely to be covered. Price. Free, or relatively inexpensive if more than 5 users on the business version. Number of users. You can have hundreds, if not thousands, on a channel. BB10 issues. Again, more the fault of my phone than the app but the inability to use the PTT button on a earpiece kit is annoying as hell. Not sure if other phones will have similar issues. Network dependant. Unlike some other PTT comms devices, you are reliant on being on your phone's data plan and network coverage. 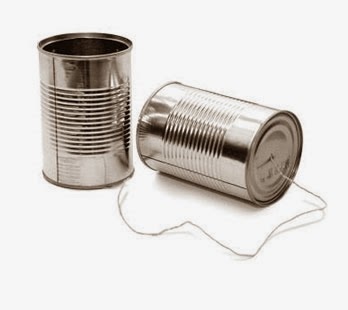 No line-of-sight communications. I'll give it a sound B+ based on my preliminary use so far. Hi, would you be open to reviewing my app? (http://voicepingapp.com). We really concentrated on a great user experience including the use of a headset or surveillance headset. You can talk and change channels with a headset without touching the phone. My email is wenhan@voicepingapp.com or you can talk to EuniceBot within VoicePing App. Hi Wenhan, I would be more than happy to EXCEPT that your app is only for iOS and Android, and not BlackBerry. Can you guess which phone I use?